Saag MSLevine AMLeitz GJBowers PJfor the CHAMPS Study Group, Once-weekly epoetin alfa increases hemoglobin and improves quality of life in anemic HIV+ patients [abstract]. Proceedings of the 39th Annual Meeting of the Infectious Diseases Society of America (IDSA) October 27, 2001 San Francisco, CalifAbstract 708. Lewden CLeport CCuzin L et al. for the A APROCO Study Group, Prognostic factors of mortality in the APROCO-ANRS EP11 cohort of HIV-1 infected adults started on a protease inhibitor-containing therapy [abstract]. Proceedings of the 40th Interscience Conference on Antimicrobial Agents and Chemotherapy September 17-20, 2000 Toronto, OntarioAbstract 1909. Dieterich DWeisz KGoldman DTalal AMalicdem LMarkatou M Interferon (IFN) and ribavirin (RBV) therapy for hepatitis C (HCV) in HIV-coinfected patients [abstract]. Proceedings of the 39th Interscience Conference on Antimicrobial Agents and Chemotherapy September 26-29, 1999 San Francisco, CalifAbstract H-105. Recombinant human erythropoietin (epoetin alfa) has been used in clinical settings for more than a decade. Its indications have expanded considerably from its original use as hormone therapy in the treatment of anemia in adults with chronic kidney disease. Since the introduction of epoetin alfa, a greater understanding of anemia pathophysiology and the interactions of erythropoietin, iron, and erythropoiesis has been elucidated. Anemia is now independently associated with increased mortality and disease progression. Potential survival benefits associated with correction of anemia in various patient populations are leading to consideration of earlier, more aggressive treatment of mild to moderate anemia with epoetin alfa. Moreover, this agent's therapeutic use may extend beyond currently accepted roles. Epoetin alfa is undergoing evaluation with promising results in a variety of new clinical settings, including anemia associated with congestive heart failure, ribavirin–interferon alfa treatment of hepatitis C virus infection, and critical illness. Preclinical studies also have established erythropoietin and its recombinant equivalent to be a pleiotropic cytokine with antiapoptotic activity and neuroprotective actions in the central nervous system. The therapeutic potential of epoetin alfa appears yet to be fully realized. Recombinant human erythropoietin (epoetin alfa) was one of the first therapies brought to the clinic via recombinant DNA technology,1,2 with its initial introduction as a hormone therapy in the treatment of anemia in patients with chronic kidney disease (CKD).3-6 A decade has passed since several randomized controlled clinical trials confirmed the benefits of epoetin alfa therapy for anemia in zidovudine-treated patients with human immunodeficiency virus (HIV) infection,7,8 which was the first clinical application of the drug in a setting of elevated, yet still inadequate, endogenous erythropoietin levels.9 During this period, indications for epoetin alfa in the United States and worldwide have expanded considerably (Table 1). Greater understanding of the pathophysiology of anemia in numerous diseases and conditions and the interactions of erythropoietin, iron, and erythropoiesis10 has accompanied the growing clinical investigation and therapeutic use of epoetin alfa. Anemia is also independently associated with increased mortality in various diseases and conditions. New insights into the relationships among hemoglobin (Hb) levels, symptoms of anemia, and quality of life (QOL) are prompting the reevaluation of tolerating lower Hb levels and the traditional use of Hb levels below 10 g/dL as the trigger for therapeutic intervention in many settings and patient populations. Observations across several diseases also raise the possibility that treatment and correction of anemia with epoetin alfa may be associated with improved survival.11-13 In addition to ongoing clinical evaluation in various patient populations and conditions, preclinical studies have now established erythropoietin to be a pleiotropic cytokine with antiapoptotic activity,14-16 as well as potential neuroprotective effects against central nervous system (CNS) injury. This review summarizes the developments and insights gained regarding the biology and clinical use of epoetin alfa since its initial introduction, focusing on clinical uses other than anemia in patients with advanced stages of CKD (ie, end-stage renal disease), as well as important areas of ongoing and new research that are anticipated to widen its therapeutic potential. Erythropoietin is a glycoprotein produced primarily in the kidneys that stimulates the division and differentiation of committed erythroid progenitors in the bone marrow.17-19 Plasma erythropoietin levels remain relatively constant when Hb levels remain at or above 12 g/dL but begin to rise rapidly and markedly when the Hb level decreases below 12 g/dL (Figure 1).20 It takes 3 to 4 days following erythropoietin stimulation for circulating reticulocytes to increase.21 Depending on the degree of anemia, maturation of circulating reticulocytes into mature red blood cells (RBCs) may take an additional 1 to 3 days.20 Thus, any clinically significant increase in Hb levels is usually not observed in less than 2 weeks following erythropoietin stimulation and may require up to 6 weeks in some patients. Epoetin alfa is the recombinant equivalent of the endogenous cytokine, with an identical amino acid structure and indistinguishable biologic activity both in vitro and in vivo.1,2,22 Over the last decade, greater efforts to more completely describe the biology of erythropoietin in humans have been undertaken, particularly to identify roles and actions of the cytokine in hematopoiesis and other biologic processes. A novel approach to managing anemia and its complications in CKD is to start epoetin alfa therapy in patients with early CKD at the first indication that Hb levels are falling below normal.72 Because cardiovascular disease is common in patients with CKD and anemia is an independent risk factor for left ventricular hypertrophy in predialysis patients with CKD,70 early treatment of anemic patients with CKD may prevent the cardiovascular dysfunction (eg, left ventricular hypertrophy, cardiac failure, and stroke) or its progression commonly observed in anemic patients with end-stage renal disease.72-74 As in diabetic patients with microalbuminuria who are treated for maximum blood pressure control and with angiotensin-converting enzyme inhibitors to prevent progression to macroalbuminuria or deteriorating renal function,75 treatment of anemia in patients with early CKD may have the potential to alter the disease course. An additional goal in early CKD is to maintain exercise capacity and QOL. Patients also would likely be in better overall health when dialysis becomes necessary. For an early treatment strategy to be optimally used, a clearer understanding of the scope of anemia in early CKD is needed. In a recent preliminary analysis, 48% of 1716 patients with early CKD (serum creatinine concentration: women, ≥1.5 mg/dL [≥132.6 µmol/L], or men, ≥2.0 mg/dL [≥176.8 µmol/L], but ≤6 mg/dL [≤530.4 µmol/L] within the past 12 months) had an Hb level of 12 g/dL or lower, including 9% with an Hb level of 10 g/dL or lower.76 As might be anticipated, a relationship between anemia severity and worsening renal function also was observed; approximately 52% of patients with a creatinine clearance of 30 mL/min or less also had an Hb level of 12 g/dL or lower.76 These initial findings suggest a high prevalence of anemia in patients with earlier stages of CKD. In this context, Provenzano et al38 recently conducted a large, prospective, multicenter study in patients with early CKD (serum creatinine concentration: women, ≥1.5 mg/dL [≥132.6 µmol/L]; men, ≥2.0 mg/dL [≥176.8 µmol/L], but ≤6 mg/dL [≤530.4 µmol/L] over 16 weeks) and showed that once-weekly epoetin alfa treatment improved Hb and HCT values from a baseline of 9.2 g/dL and 27.5%, respectively, to 11.9 g/dL and 36.2%, respectively, over 16 weeks. Transfusion rates were reduced from 11.1% to 0.5% in these patients, and QOL measures also showed improvement throughout the 16-week treatment period. Treatment with epoetin alfa prior to initiation of dialysis also may improve survival in patients with CKD. A retrospective analysis performed on data from 4866 patients with end-stage renal disease, of whom 1107 (23%) were treated with epoetin alfa prior to initiation of dialysis,11 showed that patients treated with epoetin alfa before starting dialysis had a lower mortality risk compared with patients who did not receive epoetin alfa treatment before dialysis (adjusted relative risk, 0.80). The greatest survival benefit was observed in patients with HCT values greater than 31.8% prior to dialysis (adjusted relative risk, 0.67; P<.001). Patients also received the most benefit during the first 19 months of dialysis (adjusted relative risk, 0.81), with no sustained survival advantage among patients undergoing dialysis for more than 31 months relative to patients who did not receive epoetin alfa prior to dialysis. Anemia is a frequent, often debilitating complication of cancer and its treatment. Fatigue, the most common symptom associated with anemia, affects most patients with cancer during the course of their disease and treatment, with many of these patients experiencing fatigue daily or reporting that fatigue significantly affects their daily routines.94,95 Historically, reporting of anemia as a toxic effect in chemotherapy studies was mainly focused on the more severe grades.96 Mild to moderate anemia, however, occurs in 50% to 75% of adults receiving the most common single agents and combination regimens used to treat major nonmyeloid malignancies.96 A recent systematic, quantitative review of available literature suggests that anemia may be an independent prognostic factor for survival in patients with cancer.97 The overall estimated increased relative risk of death, after adjusting for other factors, was 65%; anemia was associated with significantly shorter survival times in patients with lung cancer, head and neck cancer, prostate cancer, or lymphoma. The anemia of cancer most closely resembles the anemia associated with chronic disease, with patients demonstrating serum erythropoietin levels that are elevated above normal but not as high as levels observed in patients with similar decreases in Hb level caused by iron deficiency or hemolytic anemia.98 It appears that patients with cancer experience a blunted erythropoietin response to anemia,98 as well as inadequate erythropoietin production,99 making higher doses of epoetin alfa necessary to correct anemia in this setting. Epoetin alfa (150-300 U/kg TIW) has been shown in randomized, double-blind, placebo-controlled clinical trials to effectively increase Hb levels and reduce transfusion requirements in anemic patients with cancer treated with cisplatin-containing or non–cisplatin-containing chemotherapy.100,101 Three additional large, prospective, community-based trials further established the efficacy of epoetin alfa (150-300 U/kg TIW [N>4370] or 40 000-60 000 U once weekly [N = 3012]) in increasing Hb levels and decreasing transfusion requirements in anemic patients with cancer receiving platinum or nonplatinum chemotherapy.39,102,103 A recent randomized, double-blind, placebo-controlled trial confirmed the results of the community-based trials, showing that, compared with placebo, epoetin alfa significantly reduced transfusion requirements (P = .006), increased Hb levels (P<.001), and improved QOL (P<.01).13 Further, Kaplan-Meier estimates showed a trend in overall survival favoring epoetin alfa (P = .13), with Cox regression analysis demonstrating an estimated hazard ratio of 1.309 (P = .052), suggesting that the mortality risk during the median 26-month follow-up period was approximately 31% higher for patients receiving placebo than for those receiving epoetin alfa. This study was not powered to assess survival, however, and the protocol did not control for variables that may influence survival (eg, disease stage, bone marrow involvement, intensity of chemotherapy, and disease progression). Epoetin alfa also is undergoing active investigation for the treatment of anemia in pediatric patients with Hodgkin disease, acute lymphocytic leukemia, and non-Hodgkin lymphoma who are receiving chemotherapy, as well as in patients with cancer who receive radiotherapy only. Randomized controlled trials show that epoetin alfa treatment can significantly reduce transfusion incidence, increase mean Hb level, and improve QOL in patients with multiple myeloma.104-106 Epoetin alfa also may allow disease downstaging in B-chronic lymphoproliferative disorders with long-term use.107 Epoetin alfa administration in mice bearing multiple myeloma tumors has been shown to markedly prolong survival and reduce mortality, suggesting that epoetin alfa may act as an antitumor therapeutic agent in addition to its role in erythropoiesis.108 Results of several clinical studies also suggest that use of epoetin alfa as an adjunct to radiotherapy can increase and maintain Hb levels and improve QOL during radiotherapy administered alone or either sequentially or concomitantly with chemotherapy.40,41,109-112 Preliminary results in patients with head and neck cancer further suggest that epoetin alfa therapy may improve locoregional control and survival rates to levels observed in patients with normal pretreatment Hb levels.113,114 Additional clinical trials designed specifically to assess the potential impact of epoetin alfa on survival of patients with cancer are ongoing. To confirm early clinical studies suggesting that epoetin alfa can effectively correct anemia in patients with advanced cancer without regard to chemotherapy use,100,115-118 Quirt et al119 recently demonstrated that epoetin alfa administration to patients with nonmyeloid malignancies, including a large cohort of anemic patients (n = 183) not receiving chemotherapy, significantly improved Hb levels and decreased transfusion use, with increases in Hb levels positively correlating with significant improvements in QOL and changes in Eastern Cooperative Oncology Group performance scores. These results indicate that patients with cancer-related anemia who are not receiving chemotherapy can achieve substantial clinical benefits with epoetin alfa treatment. From the patient's perspective, QOL has become an increasingly important consideration in health care management and therapeutic decisions for individual patients. Numerous studies have now demonstrated a correlation between a positive response to epoetin alfa therapy and improved QOL (overall QOL, energy level, and activity level) in anemic patients with CKD,6,38,66 cancer,13,39,48,102,103,118 and HIV infection.8,43,129,130 Clinically relevant insights are emerging regarding the relationship between Hb levels and patient well-being and functional outcomes. In anemic patients with cancer treated with chemotherapy, significant improvements in self-reported QOL parameters and functional status have been reported by patients demonstrating a hematologic response to epoetin alfa,13,39,102,103 with improvements occurring independent of tumor response (Figure 2).102,103 An incremental analysis of the clinical and outcomes data from the combined results of the 2 community-based trials using TIW epoetin alfa dosing102,103 demonstrated a significant (P<.01), nonlinear relationship between Hb level and QOL over the Hb level range of 8 to 14 g/dL, with the greatest improvement in QOL occurring when the Hb level increased from 11 to 12 g/dL (range, 11-13 g/dL).48 These studies in anemic patients with cancer indicate that Hb levels lower than 12 g/dL are associated with suboptimal degrees of overall QOL and functional abilities and are consistent with a large body of evidence in anemic patients with renal dysfunction that functional status is optimized at a Hb level of 12 g/dL. 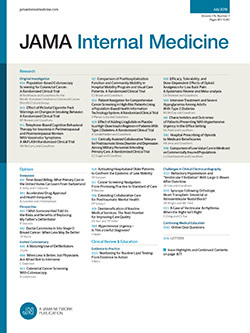 Collectively, these results have had a significant impact on the understanding of anemia and its relationship to patient well-being, suggesting that optimal management of anemia contributes substantially to improving QOL and functional status and that more aggressive treatment of mild to moderate anemia in multiple patient populations may be warranted. Patients with congestive heart failure often develop anemia, which generally worsens with increasing heart failure severity.131-135 The anemia appears to occur despite plasma erythropoietin levels that increase progressively with increasing New York Heart Association (NYHA) severity.135 Based on animal and human studies, the ischemic or hypertrophied heart seems to be more sensitive than healthy myocardium to anemia, including very small changes in Hb level, which result in a marked worsening of ischemia and impairment in cardiac function in the diseased heart.136,137 Conversely, chronic severe anemia results in salt and fluid retention that appears to improve when the anemia is corrected.138 In anemic patients with CKD, treatment with epoetin alfa has resulted in reductions in left ventricular hypertrophy, prevention of left ventricular dilatation, and improvement in left ventricular ejection fraction, stroke volume, and cardiac output.139-143 Thus, correction of anemia in patients with congestive heart failure may improve myocardial function. In a recent retrospective analysis, the prevalence and significance of mild anemia (Hb level <12 g/dL) in 142 patients with heart failure were shown to increase with heart failure severity, ranging from 9% in patients with NYHA class I heart failure to 79% of patients with NYHA class IV disease.144 Of note, 19% of patients with mild heart failure (NYHA class II) and 53% of patients with moderate disease (NYHA class III) were anemic and had concomitant serum creatinine levels ranging from 1.9 to 2.4 mg/dL (168-212 µmol/L), indicating some degree of renal insufficiency even in patients with relatively mild cardiac impairment. A subset of 26 patients with NYHA class IV heart failure, despite maximally tolerated therapy for at least 6 months and Hb levels lower than 12 g/dL, were enrolled in an intervention trial and received epoetin alfa (mean ± SD dosage, 5227 ± 455 U SC once weekly) and intravenous iron supplementation for a mean ± SD of 7.2 ± 5.5 (range, 4-15) months. In this subset, epoetin alfa therapy was associated with significant improvements in Hb levels and functional status and a 28% increase in left ventricular ejection fraction compared with baseline (Table 3). These improvements correlated with a significant reduction in oral and intravenous furosemide administration from baseline, a 92% decrease in hospitalizations compared with a similar period prior to initiation of epoetin alfa therapy, and a decrease in the rate of renal failure progression. No adverse events associated with epoetin alfa therapy were reported. Thus, treatment of anemia in patients with even mild to moderate heart failure may ameliorate progression of CKD and congestive cardiomyopathy. If successful treatment of anemia can improve cardiac function and reduce hospitalizations in patients with congestive heart failure who have or develop anemia, epoetin alfa therapy may have an important role in the overall management of major cardiovascular disease. Further evaluation is warranted, and a randomized, controlled trial is ongoing. There is considerable interest in agents that might have neuroprotective effects associated with various CNS insults such as head trauma, anoxic injury, and stroke. Epoetin alfa administered via intracerebroventricular injection appears to have such neuroprotective properties in animal models of hypoxic and/or ischemic stress.28,145 In studies using various in vitro and animal models of human CNS disorders, epoetin alfa had a protective effect against several forms of neuronal damage occurring in stroke, head trauma, epilepsy, and autoimmune encephalitis.28,29,145-147 Astrocytes and neurons also can produce erythropoietin under hypoxic or ischemic conditions.27,148-153 However, physiologic erythropoietin production alone cannot meet the oxygen demand needed to adequately respond to acute and severe hypoxic and/or ischemic neuronal stress, such as that which occurs following cerebrovascular accident, blunt head trauma, or status epilepticus.146 Thus, it is possible that exogenous epoetin alfa administration following neuronal stress may augment the activity of endogenous erythropoietin in the CNS. Collectively, the preclinical data suggest that epoetin alfa possesses immunomodulatory, antiapoptotic, and anti-inflammatory properties in addition to the ability to stimulate erythropoiesis.146 The neuroprotective effects may be conferred by erythropoietin receptors that have been shown to exist throughout the CNS.28,147 Further investigation of epoetin alfa in these and related CNS models is warranted to more specifically define its therapeutic potential in human CNS disorders. It is increasingly recognized that therapeutic interventions, such as coronary artery bypass surgery156 or adjuvant chemotherapy in patients with breast cancer,157-159 are associated with a relatively high prevalence of cognitive impairment and a decline in cognitive functioning. The exact cause(s) of these cognitive deficits in the various affected patient populations has not been established, but reduced oxygen delivery to CNS tissues may be involved. Because of the neuroprotective effect of epoetin alfa in preclinical studies and its ability to improve QOL in anemic patients with cancer, clinical studies are ongoing to explore the potential relationship between decreases in Hb levels and cognitive function in patients with cancer receiving chemotherapy and a possible role for epoetin alfa in ameliorating cognitive deficits in anemic patients with cancer receiving chemotherapy. Jacobsen et al160 recently reported that declines in Hb levels during the course of chemotherapy in patients with cancer were associated with increases in cognitive complaints (eg, problems with memory and concentration) and declines in cognitive abilities. In a randomized, double-blind, placebo-controlled pilot trial enrolling 100 patients with breast cancer receiving anthracycline-based adjuvant or neoadjuvant chemotherapy, O'Shaughnessy et al161 found that patients receiving epoetin alfa, 40 000 U SC once weekly, experienced improvements in mood, attenuations in the decline in QOL, and improvements in executive control cognitive function compared with patients receiving placebo. Based on these novel results, a larger follow-up, placebo-controlled clinical trial is under way. Critically ill patients with anemia still demonstrate a bone marrow response to epoetin alfa. Its potential role in the management of anemia in critically ill patients was initially assessed in a randomized, double-blind, placebo-controlled trial.173 Patients were randomized to receive either epoetin alfa, 300 U/kg SC (n = 80), or placebo (n = 80) once daily for the first 5 days and then once every other day for 2 weeks or until ICU discharge for those remaining in the ICU. Patients treated with epoetin alfa required significantly (P<.02) fewer RBC transfusions than patients receiving placebo. Patients in the epoetin alfa group received approximately half as many units (166 U) as patients in the placebo group (305 U). Despite this, patients receiving epoetin alfa demonstrated a significantly (P<.001) greater mean change in HCT from baseline (4.8% vs 1.4%), as well as a significantly (P<.01) higher final HCT (35.1% vs 31.6%), compared with patients receiving placebo. In a subsequent prospective, randomized, double-blind, placebo-controlled, multicenter study in 1302 critically ill patients, the patients receiving epoetin alfa, 40 000 U once weekly (n = 650), were significantly less likely to undergo transfusion than patients receiving placebo (n = 652) (50.5% vs 60.4%; P<.001).174 Patients in the epoetin alfa group had a 19% reduction in the total units of RBCs transfused (Figure 3) and a reduction in RBC units transfused per day alive (ratio of transfusion rates, 0.81; P = .04) compared with those receiving placebo. The increase in Hb level from baseline to study end was significantly higher in patients receiving epoetin alfa (P<.001). In both studies, there was no significant difference in mortality or frequency of adverse events between the 2 treatment groups. The notable response to epoetin alfa in this setting provided further evidence that these patients have an impaired erythropoietin response to physiologic stimuli, as well as a limited ability to respond to endogenous erythropoietin. In this setting, epoetin alfa therapy may allow critically ill patients to achieve higher Hb levels while decreasing their need for RBC transfusions. Further research is needed to determine whether the reduction in RBC transfusion will result in improved clinical outcomes in some critically ill patients. Given the extent of transfusion in the critically ill, particularly in those with longer than 1-week length of stay in the ICU, the potential impact of epoetin alfa therapy on transfusion use in this setting could be substantial. Concomitant treatment with epoetin alfa may ameliorate this anemia and allow HCV-infected patients to continue therapy with interferon alfa-2b plus ribavirin.44,182,183 In an open-label, randomized, multicenter, parallel-group study, 36 anemic HCV-infected patients (mean baseline Hb level, 11.0 g/dL) received epoetin alfa, 40 000 U SC once weekly, along with combination ribavirin–interferon alfa-2b therapy, while 28 patients (mean baseline Hb level, 11.0 g/dL) received ribavirin–interferon alfa-2b and standard of care treatment for Hb level decreases.44 At weeks 2, 4, 8, 12, and 16, patients receiving epoetin alfa had significantly (P<.01) higher Hb levels than at baseline, as well as significantly (P<.05) higher levels than those patients receiving the standard of care. In addition, mean ribavirin daily doses remained constant throughout the 16-week treatment period in patients receiving epoetin alfa but decreased in patients receiving the standard of care. In the on-treatment analysis, the mean ribavirin daily dose in patients receiving the standard of care was lower than that in patients receiving epoetin alfa throughout the study (P<.05 at week 16), with 83% of patients receiving epoetin alfa maintaining ribavirin daily doses of 800 mg or greater compared with 54% of patients receiving the standard of care (P = .02). These results suggest that epoetin alfa may be a valuable addition to the standard treatment regimen of HCV-infected patients who develop anemia with combination ribavirin–interferon alfa-2b therapy. By allowing maintenance of therapeutic doses of ribavirin, epoetin alfa may increase the likelihood of patients achieving sustained virologic responses to HCV treatment. Several clinical trials have confirmed the benefit of early epoetin alfa treatment (300-600 U/kg per week for 4-6 weeks) to decrease the need for blood transfusion in infants (weight from under 1000 g to 1750 g; gestational age ≤33 weeks; baseline Hb level <10 g/dL; baseline HCT ≤35%) with the anemia of prematurity.184-187 In these trials, infants receiving epoetin alfa received significantly fewer transfusions and experienced higher reticulocyte counts and serum erythropoietin levels compared with infants receiving transfusions alone or placebo. Epoetin alfa is generally well tolerated and has demonstrated proven safety. The adverse effects reported in patients receiving epoetin alfa for its approved indications are generally consistent with the underlying disease (eg, CKD, cancer, and HIV) and its progression or with commonly reported sequelae following surgery. Rapid increases in HCT in patients with CKD may be associated with hypertension. The use of epoetin alfa is contraindicated in patients with uncontrolled hypertension. Over the last decade, epoetin alfa has been used in over 1 million patients in the United States and in over 3 million patients worldwide. As one of the original recombinant DNA technology products made available for clinical use, epoetin alfa has proven to have a significant therapeutic role in treating anemia in many conditions beyond its initial use as hormone therapy in patients with anemia of CKD. Epoetin alfa is an accepted treatment for patients with HIV- and cancer-associated anemia, with the value of anemia therapy in these settings supported by the established relationship of anemia to QOL and functional outcomes. This relationship also has led to a reevaluation of traditional approaches to diagnosing and treating anemia, prompting more aggressive and earlier treatment of mild to moderate anemia in the disease course to minimize or avoid the adverse effect of anemia on patient well-being and functional status in established indications. The independent association between anemia and an increased risk of mortality in HIV infection, cancer, and CKD, along with the finding that correction of anemia with epoetin alfa may be associated with improved survival in these settings, warrants continued research of the potential survival benefit of epoetin alfa therapy. Epoetin alfa also is undergoing evaluation in a variety of new clinical settings, including CHF, CNS disorders, critical care, HCV infection, and the anemia of prematurity, with promising results. It will be important to more fully evaluate the clinical effects of epoetin alfa on neuroprotection and cognition, since these avenues might provide new treatment approaches for a variety of conditions with inadequate therapies. Greater insight into the biology of erythropoietin and its recombinant equivalent, including antiapoptotic and neuroprotective actions, have led to its more accurate characterization as a pleiotropic cytokine. Epoetin alfa provides an important therapeutic option for anemia or its prevention in a variety of settings in which correction may have significant clinical and patient benefits. The potential uses and value of epoetin alfa therapy appear yet to be fulfilled. Corresponding author and reprints: David H. Henry, MD, Joan Karnell Cancer Center, Pennsylvania Hospital, 230 W Washington Sq, Philadelphia, PA 19106 (e-mail: dhhenry@juno.com). Accepted for publication February 28, 2003.